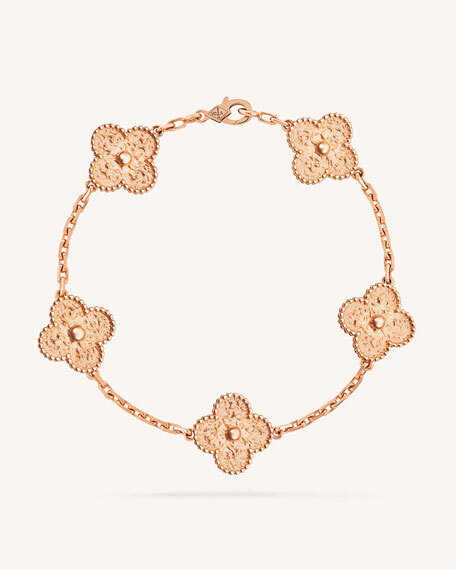 Vintage Alhambra bracelet by Van Cleef & Arpels. Polished 18-karat pink gold chain and hardware. Five stations with beaded edges.